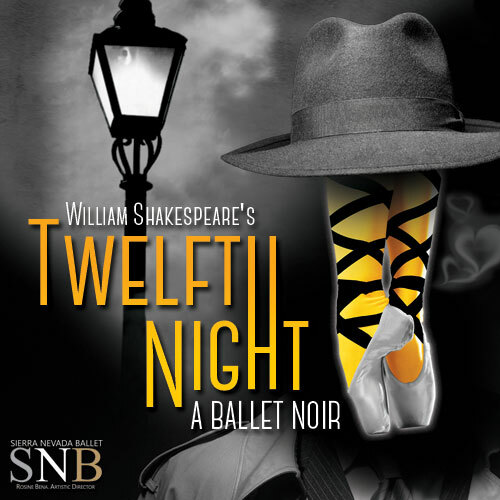 The Sierra Nevada Ballet presents William Shakespeare’s Twelfth Night- A Ballet Noir! Same comedy classic you love, but with a Film Noir twist! Follow the lovely Viola from harrowing shipwreck, to strange new land fraught with foibles, gender swapping, mistaken identity and a hilarious love-triangle! Ananda Bena-Weber, returns to direct her second full-length production following the terrific success of last year’s A Midsummer Night’s Dream (as seen on ARTEFFECTS!). Starring the SNB company and guest artists from around the world, Twelfth Night-A Ballet Noir is dressed to impress. Don’t miss this exciting new production! July 29 (7:30 PM) at Sand Harbor as part of the Lake Tahoe Shakespeare Festival; August 4 at 4:00 PM at the Pioneer Center in Reno and August 10 (7:30 PM) at the Carson City Community Center in Carson City.